Like many children, my 4-year-old daughter loves the tactility of my iPhone, especially swiping back and forth through the photo albums and studying each image, however mundane. It seems natural, then, as Mabel’s dexterity with the camera grows, to encourage her to experiment with her own visual interpretations of life, to give her an additional outlet—and some of the ownership young children so crave—for storytelling. And where better to foster this than in the outdoors, where muses abound and a child’s curiosity is peaked? Discover what they consider most interesting to photograph. Is it a flower alongside the trail, the scaly bark of a tree, a panoramic vista? Why? If your child is drawn to a flower’s petals, suggest that she consider how best to capture the petals. This provides a focal point and opportunities for experimentation. Be patient. Your shutterbug may want to stop on the trail more often than you’d like when inspiration strikes. 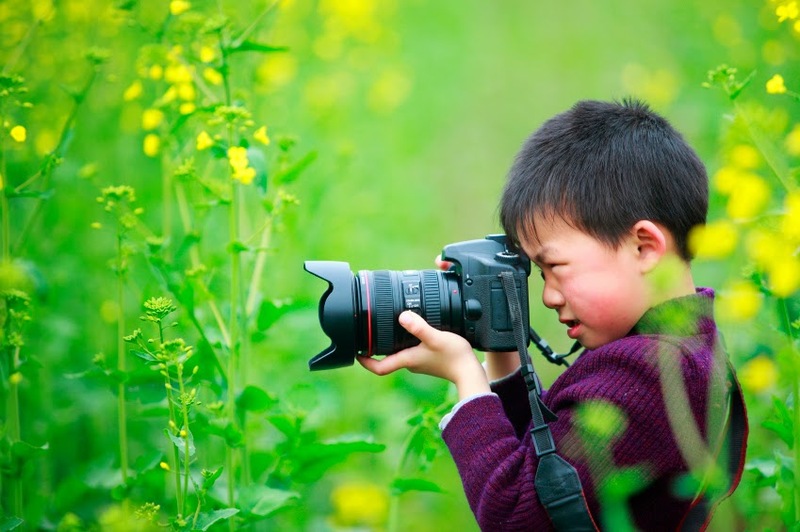 It won’t always be the money shot from the summit that catches his eye, but what does will expand his interpretation and appreciation of the natural world. Stand with the light behind you. Move the camera (yourself) instead of zooming in on an object. If you can walk up to the object, the picture’s resolution will be better than using the zoom—particularly on a smart phone. Remember to take advantage of the whole frame. Holding the phone in portrait mode is better for objects that are tall and thin, while landscape is preferable for shorter, wider objects or scenes. People or objects needn’t be centered. Try positioning them in different parts of the frame for more dynamic shots. Remember that it is incredibly difficult to photograph moving objects, animals or people…even professionals photographers take blurry shots. It may be less frustrating to start with immobile subjects and work up to motion. Celebrate your child’s creativity and efforts by printing her photos or creating an album that she can then share with family, friends, or classmates. Stories of her adventures will not only provide new avenues of connection but also reinforce the shutterbug instinct. For now, Mabel seems most intent on having the lens pointed at her, rather than away, but I’m happy to start with selfies and see where that may lead. Have your kids (or you) taken some great photos this past year? Consider entering them in AMC’s photo contest, which is open until October 1, 2014. For more information, and to enter, visit outdoors.org/photocontest. Great Kids, Great Outdoors is an Appalachian Mountain Club blog. This post was written by Karen Ingraham.